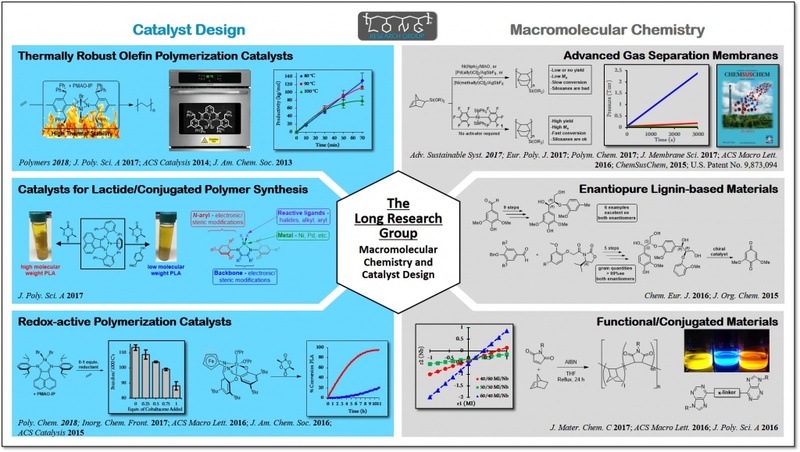 Research efforts in the Long Group are highly interdisciplinary and utilize the tools of organic synthesis, polymer chemistry, organometallic design, and even polymer science and engineering to address fundamental problems with real world impact. Our research is divided into two main thrusts: (1) the design and synthesis of functional polymeric materials, and (2) the development and utilization of next-generation polymerization catalysts. To find out more about each of these thrusts and current projects within the Long Research Group, please click on the “Group Website” link to the right. Brian (BL) began studying chemistry as an undergraduate at North Georgia College & State University under the direction of Professor Dan Thompson and as an REU student at Furman University with Professors John Wheeler and Noel A. P. Kane-Maguire. After completion of his B.S. degree, he attended the University of Texas at Austin for his doctoral studies under Professor C. Grant Willson and was co-advised by Christopher W. Bielawski. His graduate research involved the synthesis and application of traditional and nontraditional resist chemistries as well as nonlinear optical materials. After graduating in 2009, he moved to Ithaca, NY to begin his postdoctoral studies at Cornell University under the supervision of Professor Geoffrey W. Coates. While there, BL focused on the design, synthesis and application of olefin polymerization catalysts. He has since returned to the southeast and is currently an Associate Professor of Chemistry at the University of Tennessee (UTK). 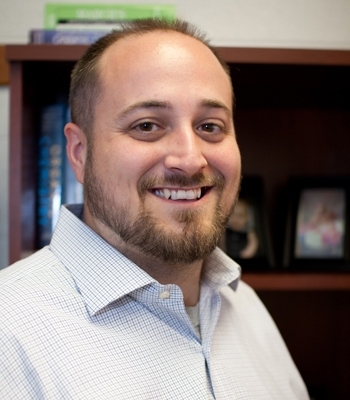 During his time at UTK, BL has been the recipient of the Ffrancon Williams Endowed Faculty Award, an Army Research Office Young Investigator Award, and a Department of Energy Early Career Award.